Are you and a partner thinking about making mirror wills? If so, there’s a lot to consider! Here’s what you need to know before taking the plunge. Can a mirror will be changed after a death? How much do mirror wills cost? Mirror wills are two wills that are almost identical, usually with each person leaving all or most of their estate to the other. Mirror wills are very popular with couples. A typical example might be a husband leaving his whole estate to his wife, with the added condition that if she dies first, his estate will go to their children. His wife then ‘mirrors’ his will, leaving her whole estate to him, or their children if he dies first. This protects both spouses and means that, in theory, their children will inherit both estates in the end. You don’t have to be a couple to make mirror wills, however. Any two people – siblings, friends sharing a house, business partners – can go for this option to safeguard each other. Unmarried couples can protect each other. If you die without making a will (‘intestate’), your estate won’t go to your partner unless you’re married or in a civil partnership. By making mirror wills, you can give each other the same (or even a better) level of financial support after your death as a spouse or civil partner gets automatically. You can appoint guardians for your children. Mirror wills also let you and your partner appoint legal guardians. These are the people who will look after your children if both of you die at the same time while they’re still under 18. You can find out more about legal guardians here. You can manage inheritance tax. This is a key benefit of mirror wills for married couples and those in civil partnerships. You don’t have to pay inheritance tax on any assets you pass to your spouse or civil partner. So, if you die leaving your whole estate to your spouse or civil partner, your personal inheritance tax allowance of £325,000 won’t have been used up. That means that they can in turn leave over £650,000 to your children tax-free (your allowance plus theirs). Plus, if you have a property, there’s an extra buffer of £100,000 on your allowance. So, in theory, mirror wills can help you both pass on up to £850,000 to your kids without being taxed. When you make a mirror will, it’s tempting to name your partner as the executor. This isn’t a bad idea, but it’s vitally important to choose another (spare) executor as well, so that there’s someone to act if you both die at the same time. You really have to trust your partner. You and your partner are both free to write a new will at any time. This means that they could, potentially, get remarried after your death, and the assets from your estate could go to their new partner, rather than your children. They could also write a new will while you’re both still alive – and they have no obligation to tell you if they’ve done so. Care home fees can deplete the estate. If your partner needs to be taken into care later on in life, the local authority has the right to take the cost of that care out of your partner’s savings if they’re above the threshold. This means that if you leave your partner your whole estate, it can potentially get eaten up by care home fees before your children receive it. Mirror wills don’t have to be identical! When you’re making your mirror wills, you and your partner can introduce small differences. For example, you might prefer to choose different executors, or leave additional gifts to different charities. Can a mirrored will be changed after a death? Yes! Change is a natural part of life, so changing a mirror will after a death is pretty normal. You might decide to set aside some of the money in your estate to care for an elderly relative. Maybe one of your children will ask to have their inheritance money early, for a deposit on a house. If that’s the case, you can just make a new will to replace the old mirror will. Mirror wills can be changed before or after a death. If you want to make identical wills that can’t be changed, you’ll need to look into making something called a mutual will, instead. Prices for mirror wills usually start at around £150 all-in. But if you choose to use Beyond’s online will service, you can make two wills in just 20 minutes. Couple’s wills cost just £135 – and for an optional £10 a year, you can get unlimited will updates whenever you like: perfect if your family is still growing. 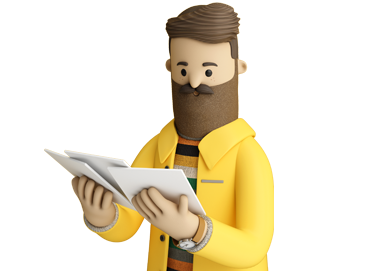 And with our service, you get more flexibility: rather than just automatically mirroring your wills, we’ll help you customise the two documents to include personal messages and whatever unique gifts you’d like. To start making your will online, click here. Do you have any questions about will making or estate administration? Ask our expert wills and probate team using the comment box below!